If children are to succeed academically, they first need to develop strong motor skills. This simple, easy-to-manage exercise program helps you make sure all young children get that essential motor-skills practice. The DVD demonstrates each exercise, making it the perfect tool for recruiting and training parent volunteers. Demonstrates each exercise, making it the perfect tool for recruiting and training parent volunteers. Walks you through the exercises, and the CD-ROM* offers downloadable reproducibles to guide volunteers in working with students. Who is Motor Moms for? The Motor Moms and Dads Program is a program used by over 400 elementary schools and preschools across Michigan and the United States to help young children ages 3-7 gain the motor skills necessary for academic success. 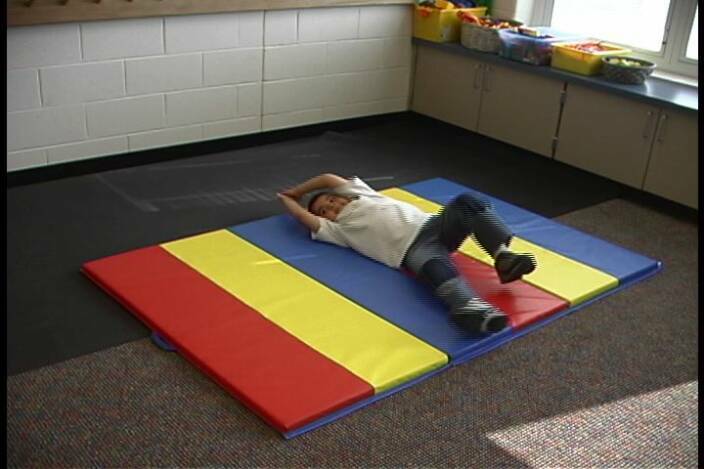 It provides a cost effective way to ensure that children get the motor skill practice that they need. Trained parent volunteers run the program in the hall outside of a classroom eliminating the need for additional space and paid staff. The equipment is minimal and many schools have some of the necessary equipment already in their buildings. Many children come to school without sufficiently developed motor skills to ensure a good start in school. This program allows all children in a class to improve basic skills in two or three 5-minute sessions per week. Parent volunteers work with 3-4 students at a time, supervising as the children work their way through six activity stations. Teachers like the fact that the program doesn't interfere with classroom activities because each child is out of class for just five minutes and usually during center time. Teachers have very few responsibilities, except to recruit and schedule volunteers. They see their students quickly improving basic motor skills that are vital to classroom success. Parent volunteers like the program because it gives them a chance to meet their child's classmates and be an important part of the school. 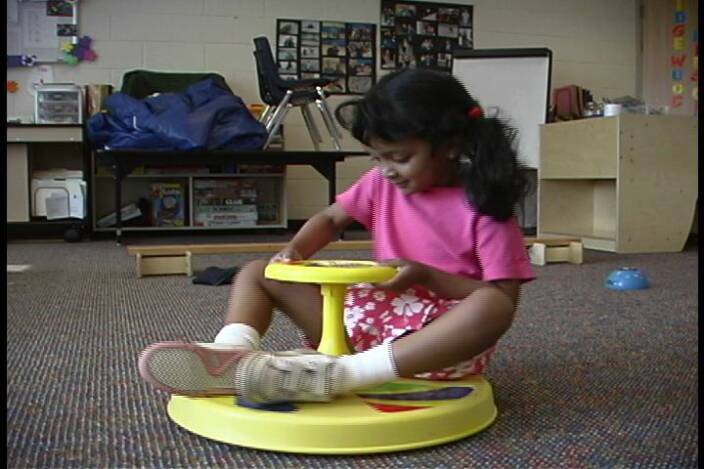 Because activities combine movement and fun, children look forward to working on the equipment. Administrators like the program because it is cost effective, allows positive parent involvement and helps prevent early learning frustration and failure. The Motor Moms and Dads Program was developed by Nancy Sornson, a special education teacher consultant at Miller Early Childhood Center in Brighton, Michigan due to the concern of some of the greatest teachers in the district. More children than ever were coming to school with poor balance, poor gross motor skills, and poor visual motor skills. Often these same children had difficulty sustaining attention, sitting still, listening, and working with their hands and eyes. They were struggling to be successful in school. Using equipment we already had in the building, and with a handful of wonderful parent volunteers, the program began. Children enjoyed the activities and returned to the classroom calmer and more ready to learn. Parents observed how quickly most children improved their skills. They noticed the relationship between basic motor skills and readiness to learn in class. Thousands of children and hundreds of parent volunteers have helped refine the Motor Moms and Dads Program. 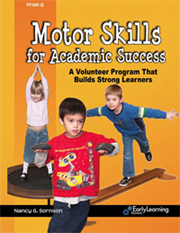 In 2004, the Preschool Motor Moms and Dads Program was published to help younger children develop good motor skills. Many preschools had been using the original Motor Moms and Dads Program. Their success stories and suggestions inspired the new program specifically designed for younger children.